Teaching leadership and ethics to graduate students in China was a rewarding experience for ENRAM's Brian Blazina. "These students were provincial government officials anxious to learn about leadership and ethics principles. 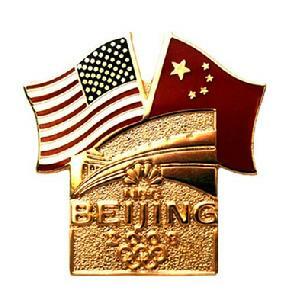 It's encouraging to see such genuine interest in developing improved value systems for business and government in China - a very good signal for the future of this giant trading partner of the United States, the Americas and the rest of the world," said Blazina. He added: "The recent economic crisis has reinforced the interdependency between the US and China. We are economically linked at the hip for the next few decades if not centuries. It is important to improve the ethics and leadership in both countries - a better environment for building more mutual trust and economic opportunities." Brian has guest lectured on other subjects such as Supply Chain Management, Marketing, IT Management, Project Management, and Transportation at graduate management schools in the US and Asia. On energy issues, although China is also a hydrocarbon based economy, it recognizes the need for multiple sources of energy including cleaner burning hydrocarbon fuels, compressed natural gas, biofuels, solar and nuclear power. The US and China should work more closely in energy research and development - a win-win for both countries. For more on ENRAM, learn about us, our Products & Services, some Projects & Capabilities, and a Management Profile.